The Tanzanian arm of the global express mailing company, DHL cemented its presence in Tanzania with the official opening of the DHL House, a courier and transit facility at Dar es Salaam Julius Nyerere International Airport. With great pride, the official opening ceremony was hosted by DHL Express Tanzania Managing Director, Mr. Blaize De Sousa and graced with the presence of Tanzania’s Vice President, Mr. Mohamed Gharib Bilal and Tanzania’s Minister for Transport, Mr. Harrison Mwakyembe. Amongst applause that the workforce of DHL is 99.9% Tanzanian, Mr. De Souza underlined the company’s commitment to the country by stating that “It is imperative that DHL continues to be an integral part to Tanzania and this region through facilitating trade”. 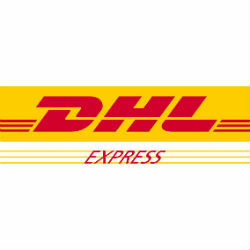 DHL Express is active in 51 countries in Africa, commencing activities in Tanzania in 1989 and has been the market leader in the local and international air express delivery business since then.